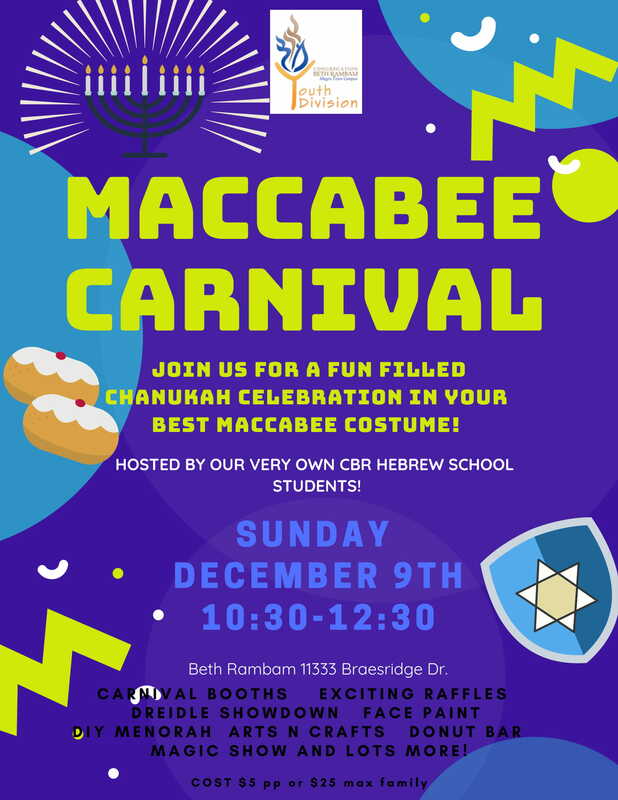 Join Beth Rambam and our Hebrew School for an amazing Chanukah Maccabee Carnival! 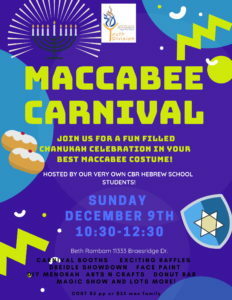 Come dressed up in your best Maccabee costume, and allow our students to take you back to the Hasmonean times! Our party will feature amazing carnival booths, prizes and raffles, face painting, dreidel showdown, arts and crafts, a donut bar, a MAGIC SHOW and so much more! This is not a party to miss folks! We can’t wait to see you there!